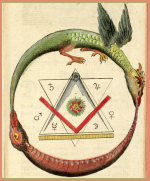 This book is a compilation of the authentic Brotherhood of Light courses on Hermetic Astrology. It consists of eight volumes and over 1800 pages. There are seven courses in the Astrology branch of the Brotherhood of Light series. Zain’s focus for these studies is to present a unified understanding of how a student may apply Hermetic tradition and principles to build character, attract desired events into the life and significantly increase one’s happiness, usefulness and spirituality. Astrology is the study of the impact of planetary influences on human life and worldly affairs. 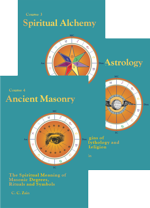 Each of the seven volumes in the astrology series, has a unique focus. 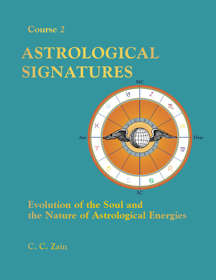 Astrological Signatures describes the correspondence between celestial influences and all other beings, objects and events. 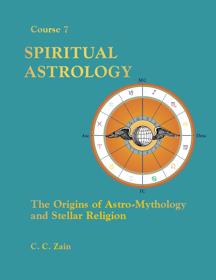 Spiritual Astrology is the Science of the Soul in its relation to the stars, including astro-mythology and the astro-interpretation of scripture. Horary Astrology is the discipline of answering questions based on a chart of the heavens cast for a specific time and place. It also involves the selection of times to insure the positive outcome of ventures and events. Natal Astrology (Delineating the Horoscope and Progressing the Horoscope) is a human-centered astrology focusing on charting individual reactions to planetary influences. This includes the calculation, delineation and progression of birth charts with an emphasis on individual predispositions and the prediction and timing of future trends and events. 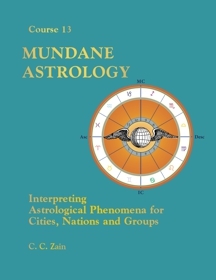 Mundane Astrology is the art of judging planetary influences as they relate to countries, nations, cities and other corporate bodies. Weather Predicting studies the influence on weather through planetary variables associated with temperature, moisture and wind. 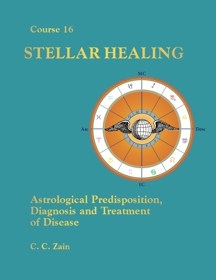 Stellar Healing is the science of planetary influence related to health and disease. It explores stellar diagnosis and a form of energy medicine. Only authentic Brotherhood of Light lessons by C. C. Zain can bear the trademark of the two interlaced trines, with the name of Deity in the center and astrological symbols around the outside. 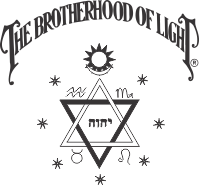 The Brotherhood of Light is a modern-day Mystery School Tradition which offers a self-paced, home study course in Hermeticism. The goal of The Brotherhood of Light teachings is to create a world in which the dominant motivation of individuals is for Universal Welfare. That is, an ideal society that protects freedom of expression and worship, while simultaneously offering the tools by which freedom from want and fear can be achieved. We believe that this better world can be attained by becoming familiar with the facts of astrology, extra-sensory perception, directed-thinking and induced emotion, all taught in The Brotherhood of Light Lessons. The study and application of these teachings provides the aspirant with the tools to experience greater happiness, and spirituality, and to discover his or her role in God’s Great Plan. This is book 2 in the 21 Brotherhood of Light Course series (referred to as the Brotherhood of Light Lessons) by C. C. Zain on the Hermetic Sciences, Astrology, Alchemy, Tarot, Kabbalah and the Occult. In this book the student is introduced to the most important concepts underlying hermetic and occult esoteric studies. These concepts include the importance of the Two Keys to unlocking the mysteries: Astrology and the Tarot; an introduction to basic astrological principles; the mission of the soul struggling to attain Self-Conscious Immortality; the Doctrine of Signatures and the key features of the Tarot, Kabbalah; and facts and fancies about reincarnation. This book, together with Course 1, Laws of Occultism, and Course 3, Spiritual Alchemy, are designed to provide the student with the foundation necessary to delve deeper into occult, esoteric and kabbalistic studies. Course 2 of 21 in the Brotherhood of Light Study Program. This is the seventh book in the 21 Brotherhood of Light Course series by C. C. Zain on the Hermetic Sciences, Astrology, Alchemy, Tarot, Kabbalah and the Occult. This book presents the timeless wisdom embodied in the mythology and folklore that is associated with the original 48 constellations. The book goes through each of the twelve zodiacal constellations and the 36 ultra-zodiacal constellations corresponding to each decanate or 10-degree section of the zodiac. The book delves deeply into the origins of astro-mythology and stellar religion that are common to all the great centers of civilization including the ancient Egyptian, Babylonian and Chaldean, Greco-Roman, Mayan, Pre-Inca, Aztec and native North American Indian. The astrological origins of many international and U.S. holidays are also explained. Course 7 of 21 in the Brotherhood of Light Study Program. This is the eighth book in the 21 Brotherhood of Light Course series by C. C. Zain on the Hermetic Sciences, Astrology, Alchemy, Tarot, Kabbalah and the Occult. A horary chart is a map of the mental factors active in the mind of the querent at the time and place a question is asked. This branch of astrology is used to discern the nature of the past, present, and future of the matter inquired about. This book is suitable for beginning, intermediate and advanced students of astrology. 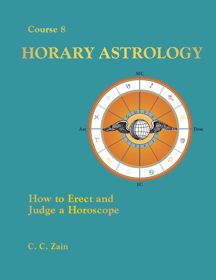 It provides a complete treatise on Horary and Electional astrology, in addition to providing the basic technical aspects of chart delineation. 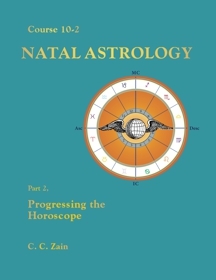 The first two chapters provide the beginning or intermediate student with all the important concepts for interpreting any horoscope: natal or horary, and are required reading for the more advanced courses in natal astrology. Chapters three through five teach the student how to interpret a horary chart erected to answer a particular question posed by the querent. Chapter six covers Electional astrology and teaches the student how to select the best time for any undertaking. The final two chapters cover the technical aspects of calculating a horoscope and constructing an astrological chart. Course 8 of 21 in the Brotherhood of Light Study Program. This is part one of the tenth book in a series of 21 Brotherhood of Light Courses by C. C. Zain on the Hermetic Sciences, Astrology, Alchemy, Tarot, Kabbalah and the Occult. Although it is an intermediate-level astrology course on interpreting a natal horoscope, it is suitable for beginning students and is an invaluable resource for every professional astrologer. The reader is introduced to the Hermetic system of astrology in a step by step fashion explaining exactly what an astrological birth chart represents and what it can and cannot do. The book presents a detailed list of what a complete astrological reading might include. It is one of the few astrological textbooks that discuss the interpretation for each of the 36 decanates (ten-degree sections of the zodiac). The book teaches the student how to assess the natal chart for temperament, disposition, mental ability, business factors, finances, vocational selection, fortune with love, marriage, partnership, domestic relations, friends, open enemies and personal restrictions and hidden influences. Course 10 - Part 1 of 21 in the Brotherhood of Light Study Program. This book is part 2 of Course 10 in the 21 Brotherhood of Light Course series by C. C. Zain on the Hermetic Sciences, Astrology, Alchemy, Tarot, Kabbalah and the Occult. It is an intermediate to advanced level astrology course on calculating and interpreting natal horoscope progressions and transits. 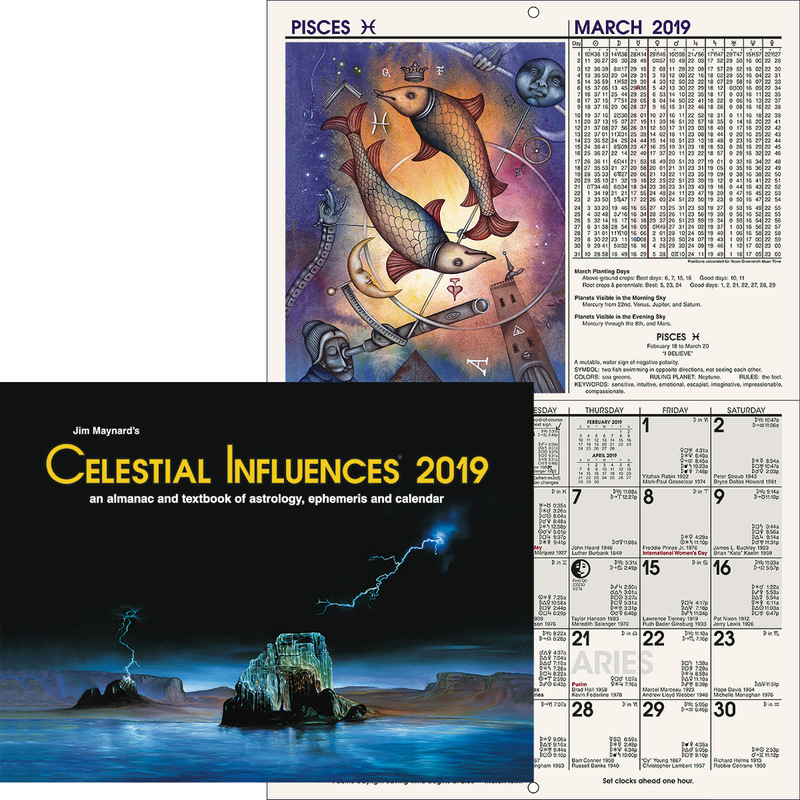 This book, which was originally entitled Predicting Events, teaches the student how to calculate and interpret secondary (Major), Minor and Transit progressed aspects of a natal chart. The book shows how the movement of the planets in the chart after birth reveal probable future trends through indicating the manner in which an individual’s astral (unconscious mind) thought cell structures are stimulated and work to attract activities and events into the life. With this information the individual may seize opportunities or take precautionary action, and through various techniques presented in the book, initiate mental and physical actions to achieve the most desirable outcome. 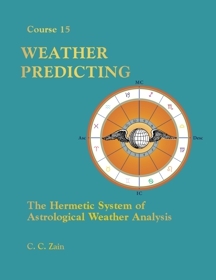 This book discusses how to calculate and interpret the Hermetic system of major (secondary) and minor progressions, how transit aspects act as triggers for major progressions, and how to rectify a horoscope when the exact birth time is unknown. Recommended for advanced students and professionals and for intermediate students who have studied Course 2, Astrological Signatures, the first two chapters of Course 8, Horary Astrology, and Course 10-1, Natal Astrology: Delineating the Horoscope, by C. C. Zain. Course 10-2 of 21 in the Brotherhood of Light Study Program. This is the sixteenth book in a series of 21 Brotherhood of Light Courses by C. C. Zain on the Hermetic Sciences, Astrology, Alchemy, Tarot, Kabbalah and the Occult. The book describes the substance and structure of the astral or stellar body. The author describes how natal and progressed aspects in the chart map aerials between various thought-cell structures in the stellar body that pick up energy similar to a radio receiver. Since the positions of the planets in the birth chart indicate the diseases toward which an individual may be predisposed, the natal and progressed planetary configurations of 160 diseases are listed. A detailed description of how to use Astrodynes for measuring the power and harmony of planets, signs and houses in both the natal and progressed chart is provided by the author, who invented the concept. Instructions are given on how to use Astrodynes to determine the source within the stellar or astral body that is responsible for the individual's disease or discomfort. Various Stellar Treatments, which are methods for applying appropriate healing energies to the compartment of the stellar body causing the problem, are discussed. This book is the definitive text on calculating Astrodynes, a technique developed by Elbert Benjamine and the Church of Light, for precise determination of the astrological power and harmony or discord of any planet, aspect, sign or house in the chart. The use of Astrodynes provides a method that greatly facilitates astrological analysis in all departments of life. Course 16 of 21 in the Brotherhood of Light Study Program.